BU is situated on one of the most beautiful parts of the island of Skiathos, the Venezian Bourtzi. You can enjoy coffee, food or cocktails, the endless view of the Aegean sea and our excellent service. Open early in the morning until late in the evening. Bourtzi was an isolated maritime fort, on a coastline or on a small island, which controlled the entrance to a port and secured its defence. After the 4th Crusade (1204), the noblemen Andrea and Geremia Ghizi from Venice, lords of Tinos and Mykonos islands, extended their sovereignty conquering the Northern Sporades, until 1276. 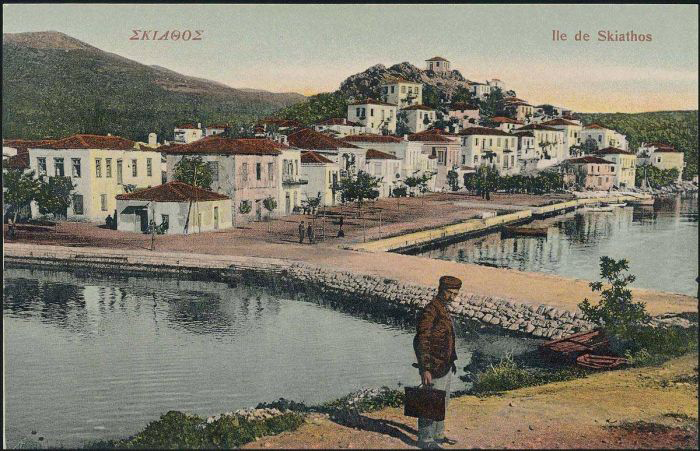 That period, they also constructed the Bourtzi of Skiathos, in the small peninsula that extended into the sea, which was in older times a kind of island as the very narrow land of isthmus was covered often by seawaters. They fortified this position with an enclosure of a simple wall, following the soil’s rocky surface, with crenellations and a place for the garison. Towards the mainland, there was the entrance-gate to the fort, being reinforced and protected by two round towers. With suitable organisation, the small fort was capable of confronting an enemy’s attacks from the sea (during the period from the 15th until the 17th centuries, and the continuous wars between Venetians and Ottomans); it was also capable of confronting attacks by pirates, who used Skiathos island itself as a base, for certain periods, such as many other small islands in the Aegean Sea. The Bourtzi was also called “the castle of St. George”, because in the same location there was a small church, dedicated to St. George (probably on the ruins of a byzantine church, the Ghizi founded a chapel). During the great Cretan war, in 1660, the Venetian forces, under the command of general and admiral Francesco Morosini, surrendered the small fort and destroyed it. From that period on, its abandonment and destruction began. In 1823 (the 9th of October) from its ruined walls, the captain Aggelis Gatsos resisted bravely against Topal Pasca, who attempted to invade the island. After the liberation from the Ottomans, in the eastern side of the fort, they made poorly constructed wooden houses - the first quarantine area for those with leprosy on the island. 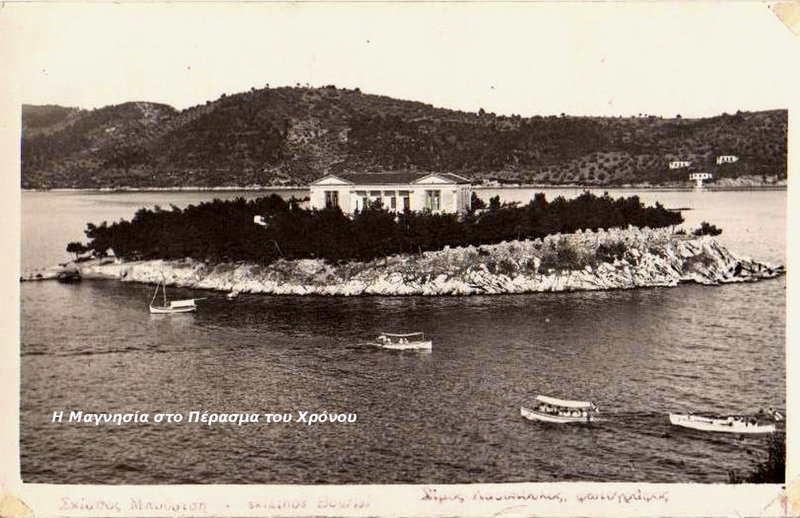 In 1906, with sponsorship and donation from Andreas Syggros, they constructed the Elementary School of Skiathos (today it is used as a place for cultural events), planting alsomany pine trees all over the fort. The fortified character of the area was lost for ever and only some enclosure walls survived and have been conserved. Meanwhile, near the path towards the old school, traces of the St. George church and a water cistern can be seen. 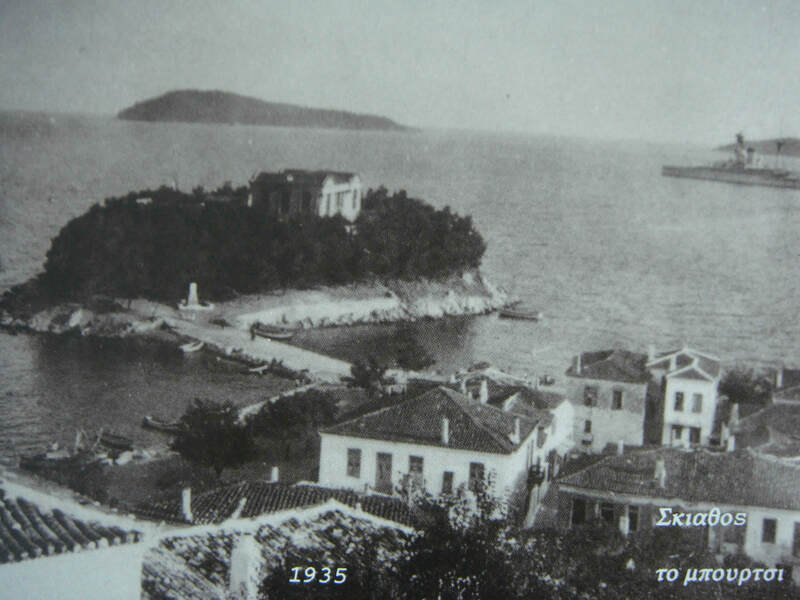 The survival of the Bourtzi is testimony to the first use and function of the site, in the heart of the modern settlement of Skiathos, in a significant position between the old and the new port. Santorini, Nykteri, Santo Wines p.d.o. 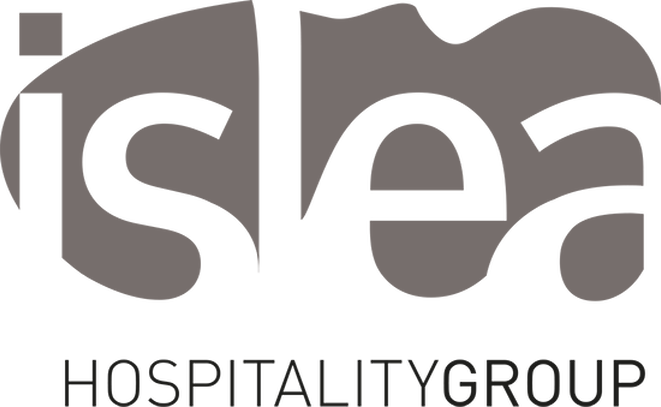 Islea group was founded in 2008 and has become one of the premier hospitality businesses in the island of Skiathos. ISLEA Hospitality Group is Skiathian at heart, a vision translating old-world sensibilities to appeal to modern-day Skiathos clientele. It was Scuna form the 60's, a family restaurant that all started from. It was in 2013 and after that is focused all the operation in the island of Skiathos. It opened the second restaurant in Skiathos, the Marmita and followed by Bourtzi and the Gift Shop Archipelagos. Dating back to the 60's Scuna is known as one of the best restaurants in Skiathos. Fresh salads and vegetables, fresh fish and traditional Greek dishes. In addition we have a great selection of wines, delicious cocktails and homemade desserts. On a traditional house at Skiathos city center, with a garden full of trees and flowers is located Marmita, one of the most representative Greek restaurant. For us food is above all memory, pleasure and hospitality. In Marmita our Greek cuisine reflect clarity, austerity and harmony of Skiathos landscape. Located in one of the most emblematic old building of Skiathos, just opposite of Papadiamantis Museum ARCHIPELAGOS GIFT SHOP offers a great variery of unique handmade objects, bags, ceramics and jewels made by Greek Designers.